Abbrook Farm is able to provide plenty of horticultural activities. We have ‘poly tunnels’ which means we can both start growing earlier and continue later in the season than without such protection. 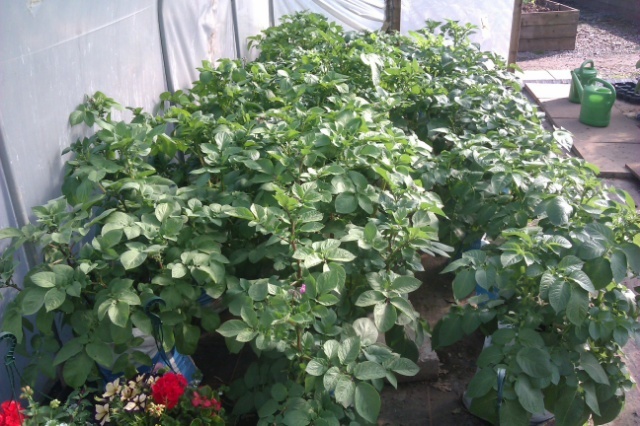 Usually our first crop of the year is early potatoes, grown individually in recycled feed sacks filled with our own compost and manure, in one of the poly tunnels. These are planted in around Mid February and harvested in May.